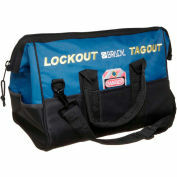 Our combination lockout duffel gives you everything you need to lock out the most common mechanical and electrical control points. 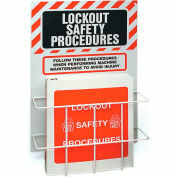 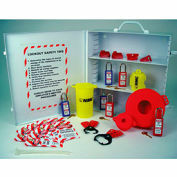 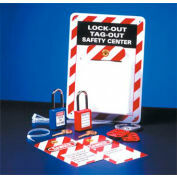 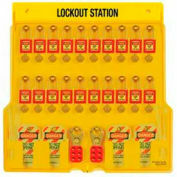 Protect employees and comply with OSHA's Lockout Standard with this convenient lockout kit that contains premium Brady® lockout devices for electrical and mechanical risks. 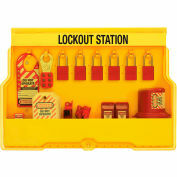 Equipping your employees with the proper lockout tools and warning devices can save lives, reduce lost employee time, and cut insurance costs. 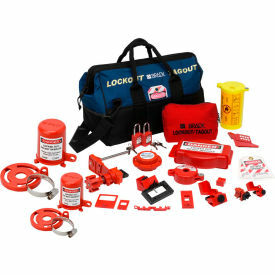 Includes a duffel bag and pouch, a cable lockout, and devices for circuit breakers, electrical plugs, wall switches, and plug, gate and ball valves. 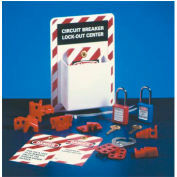 (1) Adjustable Gate Valve Lockout, 1-6.5"
(1) Base Cover Plug Lockout, 1-3/8"
(1) Base Cover Plug Lockout, 7/8"
(1) Gate Valve Lockout, 1-2.5"